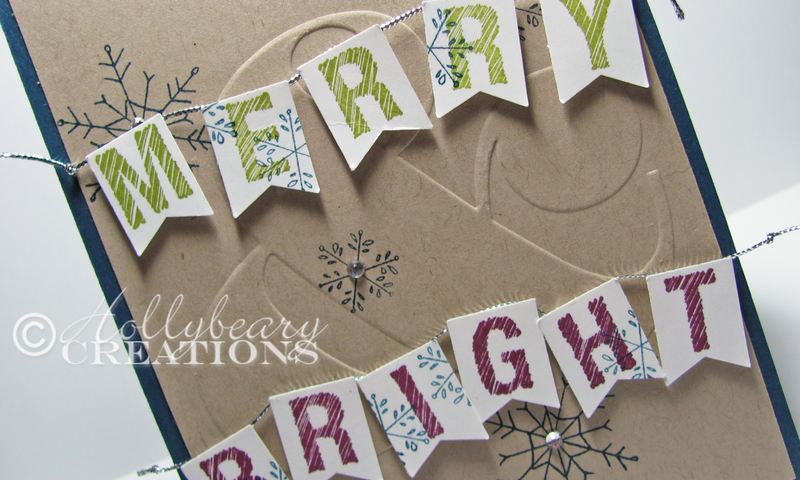 Hollybeary Creations : 'Tis the Season #6... A Rich Color Combo! 'Tis the Season #6... A Rich Color Combo! I'm finally starting to catch up with my Design Team challenges... There's still time to play along with us over at 'Tis the Season, it's Christmas all year long for us! This week is a Color Challenge with an Optional Trimming of Embossing. I broke out some new items from the upcoming Occasions and Sale-a-bration cattys. You are going to love these!! My card base is Midnight Muse with a later of Crumb Cake that I embossed with a new folder called Ampersand. LOVE this!!! It was the first thing I had to have from the Pre-Order! 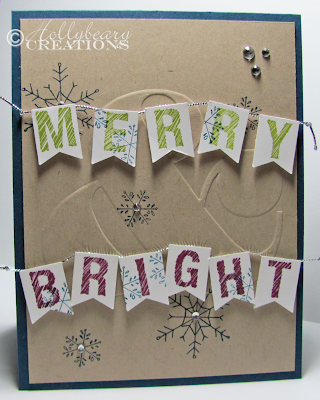 I stamped some of the Snowflakes from Endless Wishes in Midnight Muse onto the Crumb Cake piece. I stamped the letters for Merry & Bright onto some Whisper White using the set ABC-123 Sketch Alpa & Numbers in Old Olive & Rich Razzelberry. Then I punched them out with a new Banner punch coming soon. 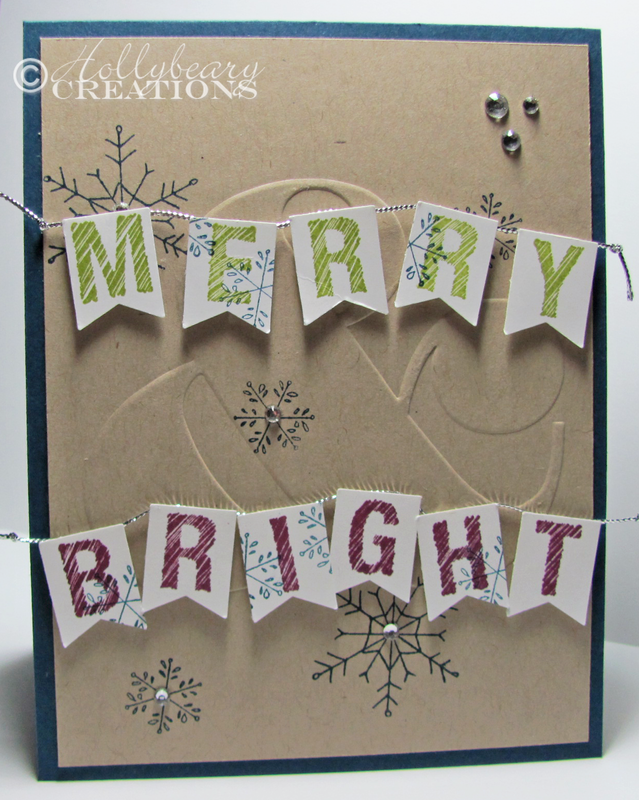 I still have some of this silver cord laying around and I used it to create a banner and I stamped some more of the snowflakes along the edges of a few of the letter pieces. It needed some more sparkle so I added some rhinestones to finish it off. 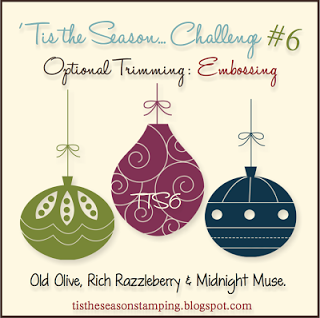 Head over to the 'Tis the Season blog and see what the other Design Team members created and we hope you will join us!